I have over 20 years experience in the textile and fashion industries. Being a keen equestrian I have always struggled to find good quality riding stocks in interesting designs, so I started to make my own. So in 2009, after realising there was a definite lack of choice available I decided to combine my interests in textiles/fashion design and horses! A further interest in vintage jewellery and good design led me to source one off stock pins in gold or silver, with a variety of different coloured stones and classic pearl to complement the look. The range of pins changes constantly due to their vintage nature – every one is a real find. 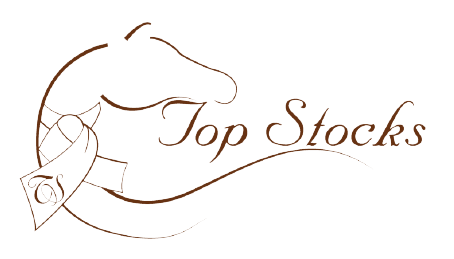 All Top Stocks stocks are handmade by myself in Cumbria. I love sourcing special fabrics resulting in a large range of silk and cotton fabrics including prints, many from Liberty of London, and special embroidered, beaded and embellished designs, offering the wearer a real sense of individuality. Your new stock will come complete with a gift box for storage, and a ‘how to tie your new stock’ illustration card. There are other ranges of handmade gifts and homeware in equestrian and country themed fabrics. For the fashion conscious I also stock a selection of quality competition and casual riding gear from The likes of Esperado, Hy and Findra.